I have a question regarding my account. What do I do? Can I change my player name? How do I change the gender on my account? Why doesn’t my statistics (personal statistics) match the statistics on the community column on top players’ stats? Why doesn’t the site let me upload an image to my profile? What do the crowns on the top of the avatar photos mean? How many points do I need to have to get to the other crowns? I have a Copper Crown right now! Why did the system take points from me? Why sometimes when I declare Mahjong and don't have enough points the system is telling me that I don’t have Mahjong and other times it penalizes me for Wrong Mahjong? I’m in a game right now – where can I see my Dragon Chips balance? I participated in a tournament 3 years ago and won. Why did my medal disappear? What does the “Rated” checkbox in a game mean? How do I get my rating up? How does the Belt Ranks System work for the mahjong versions available on your site? Is it the same for all versions? What is the meaning of the stripes with different colors (rating stripes)? What happens if I stop playing ranked games for a while? Why should I give you my e-mail address? Q: What is "My Account"? A: Your Account contains your personal details, financial transaction information and other game settings. Q: I have a query regarding my account. What do I do? A: You can submit a problem report by clicking on the “scarab-like” Report a Problem button on the player bar or use our Contact Us form. Q: Can I change my player name? A: You cannot change your username, but you can create a new user account - and then contact us on support@mahjongtime.com and we will assist you in the process. Accounts of more than 1 month require a fee of 1,000 Golden Coins for the transfer. Q: I have forgotten my log in details. What do I do? A: Simply click here and we can e-mail your information to you. Q: How can I change my picture? A: You can change the avatar by visiting the “My Account“ menu, which is on the upper left side of the screen. Q: What’s a personal webpage? A: The personal web page is an option offered to our VIP players. (It lets the world see your rating and awards). Note: The personal webpage is just one of the benefits you get with a VIP membership. Q: How do I change the gender on my account? A: Go to "My Account", click on the “My Info” tab, and find the "Gender" field – change the gender then click "Save". Q: Why doesn’t My Statistics match the statistics on the community column on top players’ stats? A: Your personal statistics and the Community column are different because the system refreshes the players’ rating every hour. Q: Why doesn’t the site let me upload an image to my profile? A: The size of the picture you want to upload on the site should not exceed 300KB. Also, only VIP members can upload their own pictures. A: To close your account, please contact us at support@mahjongtime.com and request that your account be closed. Please include your player name in the e-mail. Once your account is closed, we will send you a confirmation reply. Q: What do the crowns on the top of the avatar photos mean? A: The Crown placed above a players' avatar indicates that they had played at least one cash game. The Crown reflects how many cash games were played until today. There are 5 types of Crowns (see next question): Copper, Bronze, Silver, Gold and Diamond. Q: How many points do I need to have to get to the other crowns? I have a Copper Crown right now! The Diamond Crown at 30,000 points! We have created a system of tiers that range from "Copper" to "Diamond"! Each level has unique benefits for players including special promotion offers, tournament registration discounts, and other exclusive offers for the higher tiers. You will be amazed at how quickly you can move up! So, how do you see what tier of player you are? You can now check out other players by looking at "Player Info" in the game lobby. We are also implementing changes to how you view your own information so you can see your current level and also your current "points"! Play Cash Games – Earn Reward Points – and get free money and Golden Coins when you need them! Q: Why did the system take points from me? If a player claims your discarded tile for mahjong. If a player declared Mahjong Self. 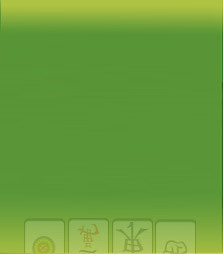 When a player declares a Mahjong Self – there are different variations in payment counting for European Classic, Mahjong Competition Rules, Hong Kong and other styles – but what they all have in common is that all the three remaining players pay the same number of points (except European or in Riichi). Point “3.6.1 Winner bonus” in the Riichi Competitions Rules. Other insubstantial penalties are: The counter penalty, Dealer penalty, Riichi Bonus penalty and other penalties which do not take any significant amount of points. Q: Why sometimes when I declare Mahjong and don't have enough points the system is telling me that I don’t have Mahjong and other times it penalizes me for Wrong Mahjong? A: The system will penalize you for declaring mahjong (either invalid claim for a discard or a Mahjong Self) in case your claim was invalid – a Wrong Mahjong. The penalty will not be taken if your rating at the moment of the claim was lower than the rating required for one green stripe on a white belt for that particular style (You can find the belts and the rating requirements for all the styles here. The penalties are various and can be found in the Rules sections of each style. Example: You were playing an HK game and declared a Wrong Mahjong: You will be penalized if your rating was 6.04. If your rating would have been 4.16 – you wouldn’t have been penalized, but the system would have warned you that you don’t have Mahjong and wouldn’t have let you declare or claim a tile for mahjong. Q: I’m in a game right now – where can I see how many Dragon Chips do I have? A: You can see your current Dragon Chips balance indicated on the player bar. You can also check your Dragon Chips balance and other useful information in the My Info menu located in the Information tab. Q: I participated in a tournament 3 years ago and won. Why did my medal disappear? A: In case you acquire more recent medals - additional space is made by updating your medal wall. Q: What does the “Rated” checkbox in a game mean? A: When the box is checked your rating will change weather you win or lose. When it is not checked your rating won’t change. Q: How do I get my rating up? A: The more you win, the higher your rating goes. If you play against people with a higher rating, your rating goes up faster than if you play against low- level players. Q: How does the Belt Ranks System work for the mahjong versions available on your site? Is it the same for all versions? A: The Belt Ranks System does not work similarly for all the versions. Hong Kong, Mahjong Competition Rules and American share the same belt rating, whereas Riichi Competition, European Classical and Taiwanese versions have different ratings. Q: What is the meaning of the stripes with different colors (rating stripes)? A: The stripes and colors of belts are visual displays of ratings of a player. Each next color White>Green>Brown>Black show tiers for that rating – while stripes show an intermediate point toward the next color. A:After 30 days of inactivity in particular mahjong style, player's rating drops 1% until the player plays a match in this mahjong style. Q: Why should I give you my e-mail address? Q: How can I change my e-mail? A: Go to the “My Info” subsection in "My Account", find the "Email" box, and insert the new email then click "Save".